Super Shaggy - A deep & chunky, anti shedding shag pile rug collection. Woven in fashionable colours, this collection should blend with most decors and furnishings. 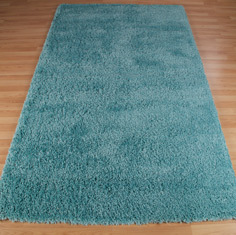 Super Shaggy rugs are soft and extremely hard-wearing, making them ideal for areas around the home that get well used. Super Shaggy rugs are made from 100% heat-set polypropylene, the pile is around 5cm in length. Super shaggy rugs are woven in 11 popular colours, each in 8 sizes including a large 200x285cm size and 2 circles / round rugs. Now available in a hallway runner.